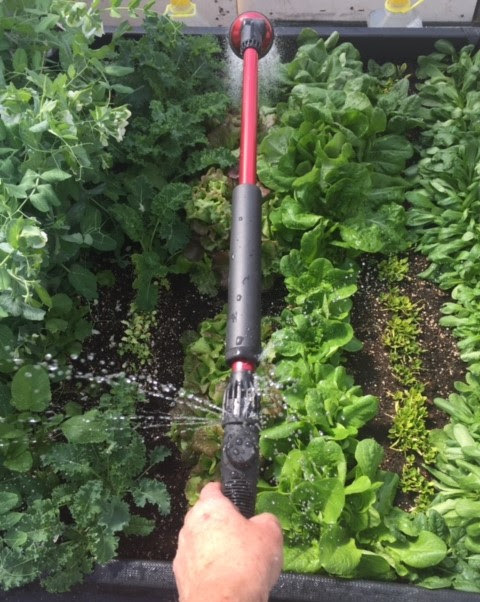 We’re having a plant sale and we’re so excited we wet our plants! 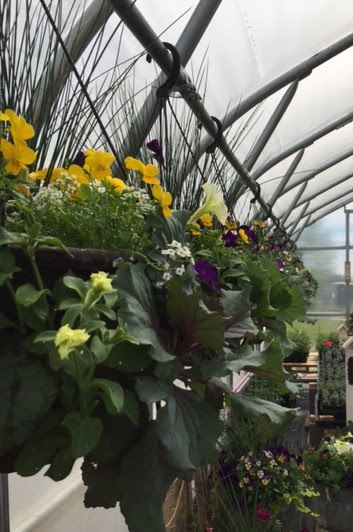 Visit our greenhouse at 4809 Foothills Drive on Saturday May 28th 9am – 4pm. 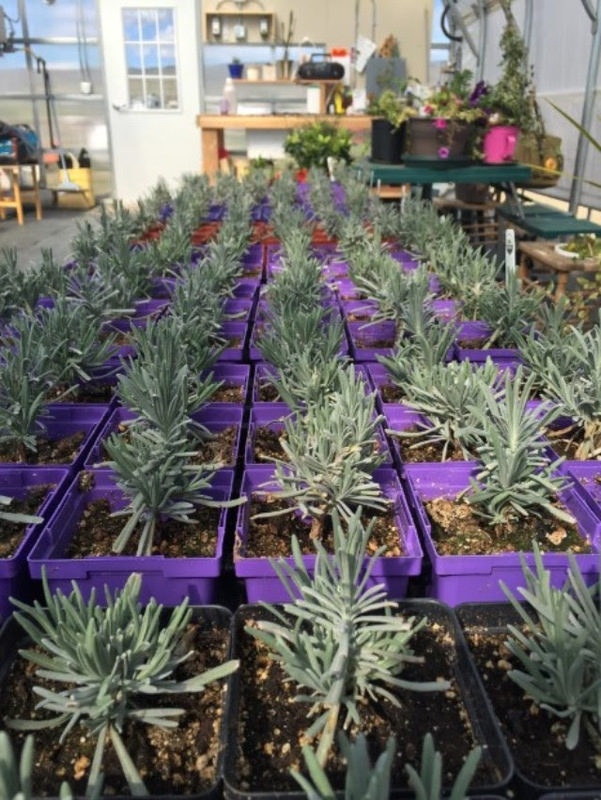 We will have lavender plants, hanging baskets, specialty planters, flowers, herbs, tomatoes and $1 annuals. 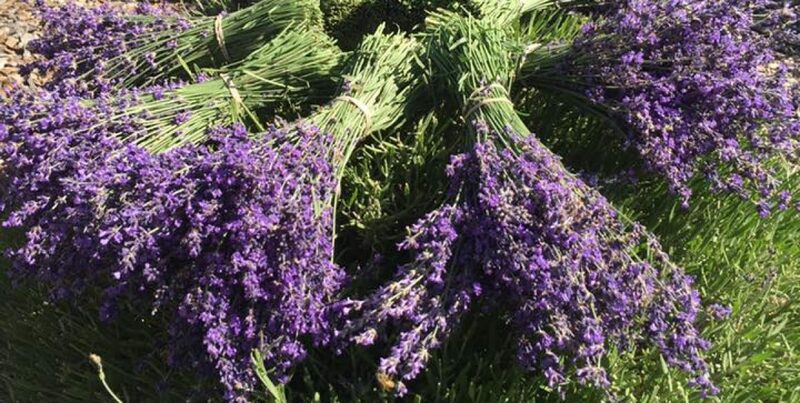 We will have eight varieties of lavender for sale, these are our best performers. Unique hanging baskets of pansies, petunia and cabbage. Does best in shade/part sun. 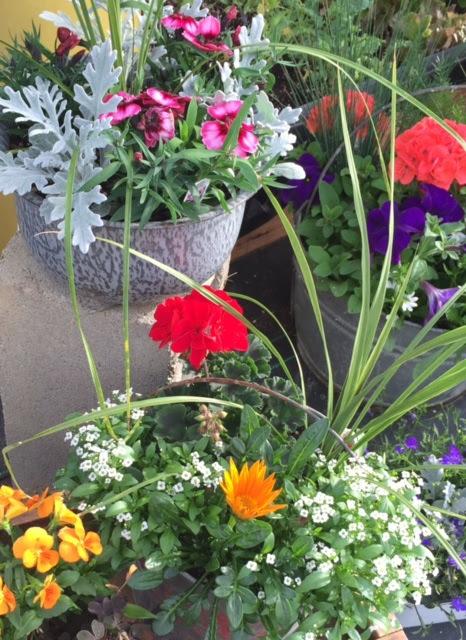 Colorful arrangements of flowers in antique enamel containers, no two containers are alike! 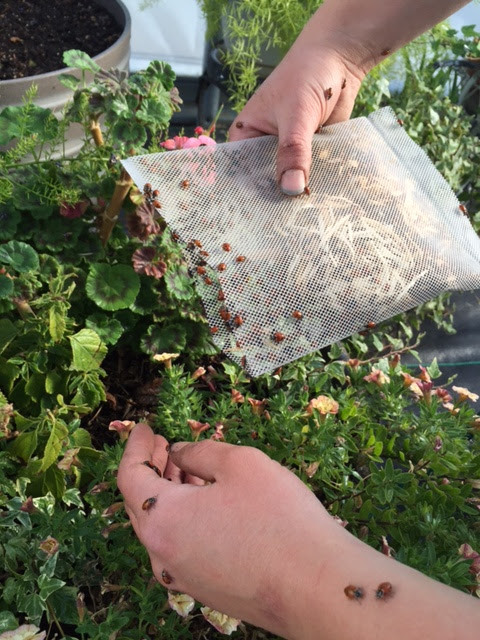 This month we released 1500 lady bugs as part of our organic pest management practice. 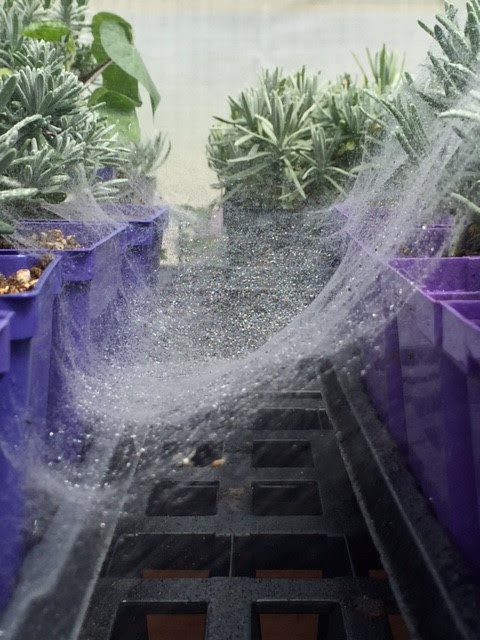 We also have our very own “Charlotte”, she hasn’t written any messages to us yet, but she does a great job building multi level webs to trap thirps and flying insects. Copyright © 2016 Heritage Lavender, LLC, All rights reserved.